“I had been suffering from regular migraine attacks for twenty years. Some of my symptoms included intense pain on either one side or the back of my head, and sometimes throbbing pain behind one of my eyes. When I experienced these symptoms, I became disabled, rendered useless and bed-bound. The intense pain was unbearable, as the symptoms also included flashing lights, high temperature in my head, nausea and severe vomiting for up to three days. These attacks would occur randomly from once a month to 4 – 5 times a week, lasting up to three days and nights. After each attack, I would lie down in a dark room for hours on end, with my life completely on hold until the attack subsided. Sometimes I would find relief in medication, but that was only periodic. My body would find a way to become immune to the high doses of painkillers I would take just to numb the pain in my head. I realised after some time spent observing that there were many variations that triggered a migraine attack. These included the weather, my sleeping pattern, stress, excitement, hormones, certain smells, hydration, skipping meals and some foods (dairy, nuts and high sugar content). 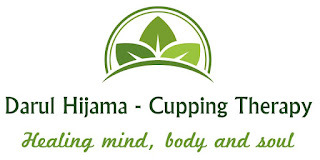 For years I took daily anti depressants and triptans for my migraines, until very recently, when a family friend introduced me to Hijama Cupping therapy. Initially I was sceptical and reluctant to try it, as no medication had cured me of my illness so far. I finally decided to try blood cupping, after a rather distressing migraine attack I was up for giving anything a go. During the session cups were applied to my head, neck, shoulders and along my back. My first session revealed literally no blood stasis from my head, with only minimal from my back and neck. Even so after my session I felt a relief and a weight lift off my head and off my shoulders. I had only two attacks that month, that were triggered by hormones. I soon realised certain foods and lifestyle changes no longer threatened my health. So far I have attended four cupping sessions, with a three week interval between each one. Alhamdulillah the more I go, the more blood stasis is revealed. I am now at a point where I get maybe one migraine attack a month. I hadn’t eaten Ice-cream in 18 years and after my first session I was able to have my first bowl. Thanks to cupping therapy I can now stop worrying about when my next attack will occur. For once I am able to take care of my children and family rather than them taking care of me. 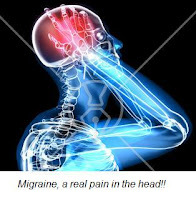 It is the only remedy which has been able to relieve me of my migraines after trying everything the doctors had to offer for over twenty years. I would recommend this to anyone as it is a hundred percent safe and pain free. I owe my new life to Darul Hijama Cupping therapy. Our thanks to Sameeha Mangera a patient of Darul Hijama Cupping Therapy Clinic in Bolton for sharing the above post. If you have any questions or want to leave some feedback for her, then please do so via a comment* below.